Hacked Toys and Fake Cheese! The second half of February’s a weird time of the year. The Superbowl is over, Valentine’s has passed, but spring is still just out of reach. Lucky for you, the new ClassAction.org newsletter is here! There’s a lot going on (as always) and we’ve picked out the highlights, but be sure to keep checking back to our homepage, where the newest cases and settlements get posted every week. We’re always hard at work making sure you have the latest news and information, so read on for more. 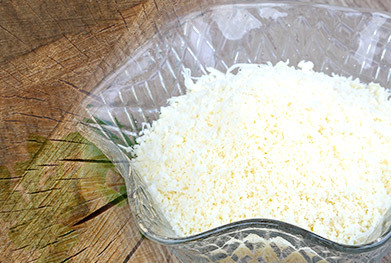 An FDA investigation and independent tests run by Bloomberg News have found that several brands of Parmesan cheese (Market Pantry 100% Grated Parmesan Cheese, Always Save Grated Parmesan Cheese, Best Choice 100% Grated Parmesan Cheese, Great Value 100% Grated Parmesan Cheese and Essential Everyday 100% Grated Parmesan Cheese) contain more fillers - and less delicious, savory cheese - than consumers would like to believe. To make things worse, the additives the companies are using are less expensive cheeses or even cellulose (they extract that from wood pulp – not cool!). Attorneys working with ClassAction.org are now looking to help get money back for consumers. So, if you purchased any of these grated cheeses at Target, Wal-Mart, Jewel-Osco or any other store, get in touch with us to learn more. In November 2015, VTech – one of the world’s largest manufacturers of electronic learning toys – announced that a portal used to download content to its devices had been hacked, exposing the personal data of five million parents – and seven million children. Names, e-mail addresses, passwords, security question answers, birthdays and genders were all allegedly stolen, while children’s audio recordings and images may also have been compromised. Lawsuits have already been filed on behalf of those affected, claiming that the company failed to provide adequate security and neglected to let people know that their information became vulnerable during the breach. Anyone who purchased VTech products that use Kid Connect or Learning Lodge services may be able to take part in a lawsuit. Attorneys are interested in hearing from anyone who used the products up until November 29, 2014. Want to know more? Contact us today. You’d think sales would be easy to understand. Stores sell items and, during a sale, the prices of those items are reduced. The reasons behind a sale may vary – store closures, special events, promotions, excess stock – but the gist should be the same, right? Well, no. A number of retailers are facing lawsuits for allegedly using fake and deceptive “compare at” labels to trick consumers into thinking they’re saving more money than they actually are. For example, in one lawsuit, a woman sued Michael Kors after she bought a pair of jeans for $79, believing she was saving big on the $120 list price. In fact, the jeans had never been sold by the store for that price and so any “savings” were entirely fictitious. Federal and state laws already stipulate that items should be sold at their original prices for a certain amount of time before stores can quote the prices as part of a “compare to” sale – but retailers seem to be ignoring the law and consumers are paying the price. TJ Maxx, Kohl’s, Ross, Justice, JC Penny, Wayfair and others have all faced allegations of creating fake sales to entice customers into buying certain items. Attorneys working with ClassAction.org would like to hear from anybody who experienced these phantom markdowns. Get in touch today and tell us about your experience. DraftKings and FanDuel, two fantasy sport sites, are facing lawsuits after reports surfaced that company employees and others with access to non-public, privileged information were allowed to compete and play for monetary prizes. In fact, in some cases, more than 90 percent of the winnings may have been won by employees with an unfair advantage. Lawsuits have already been filed seeking compensation for players who had no idea the playing field was quite so unlevel. Read more. A popular mortar used in thousands of tile floors across the country is facing allegations that it’s defective – despite the manufacturer, Bostik, advertising the mortar as being able to prevent cracks. Attorneys would like to hear from anyone whose tile floor cracked or split unexpectedly, as they suspect other manufacturers may have made similar claims. Read on. A number of manufacturers of cross-linked polyethylene (PEX) pipes are under investigation by attorneys following a spate of complaints that PEX pipes leak, split and burst, flooding the surrounding area and requiring costly repairs. A number of problems may be behind this, but an initial investigation suggests manufacturer error may to blame – and lawyers working with ClassAction.org would like to hear from anyone who’s had problems with their PEX piping. Get in touch today. A recent hearing in Pennsylvania surprised many when the judge came down hard on the attorney representing five women allegedly injured by Essure. In a number of exchanges, all part of a hearing designed to give Bayer and the plaintiffs a chance to argue why the case should or shouldn’t be dismissed, the judge questioned several of the plaintiffs’ claims and repeatedly asked for documentary evidence not currently available. However, a ruling has yet to come down, and women who have been injured by this device shouldn’t get discouraged yet. For more information, read our blog on the recent events. Why would you ever turn down a settlement in a lawsuit you filed? A number of reasons – not the least of which is wanting the suit to actually make it to court and not get settled without justice ever being served. That’s why a recent Supreme Court decision is so important – companies have been told once and for all that they can’t squash lawsuits simply by offering to settle with the plaintiff and expecting his or her claims to go away. Read more about this vital case in our handy blog post. Transvaginal mesh – which has faced thousands of lawsuits from women who claim the product is severely defective – has been reclassified by the FDA as a high-risk, Class III medical device. Class III devices are those that present an unreasonable risk of injury or illness, and manufacturers have now been told they have 30 months to prove their products are safe and effective. New standards and requirements will also now be in place and, although it’s too late for many women, it’s another important step in ensuring TVM is properly regulated. Read more.